There's nothing like a downhome, back porch celebration when the weather's just right and the sun is beginning to set. Add this adorable quilted table runner to your decor to complete the scene! 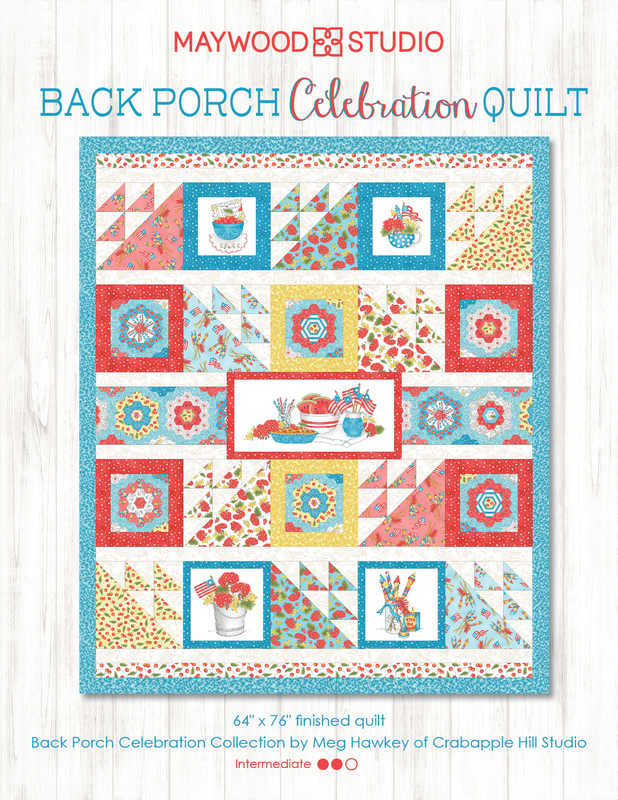 Designed by Maywood Studio, this POD table runner kit contains a pattern and precut Back Porch Celebration fabrics for easy piecing for the top, binding, and backing, by Meg Hawkey of Crabapple Hill Studio. Finished size: 13" x 45"